My iPhone Keeps Shutting Off! Here's The Real Fix. You are at:Home»iPhone»Power»My iPhone Keeps Shutting Off! Here’s The Real Fix. Your iPhone is shutting down randomly and you’re not sure why. All of a sudden, your iPhone just turns off without giving you any warning. In this article, I’ll explain why your iPhone keeps shutting off and show you how to fix this problem for good! One of the most common reasons why your iPhone keeps shutting off is because it’s stuck in a restart loop, constantly shutting off, turning back on, shutting off again, and so on. By performing a hard reset, we may be able to break your iPhone out of that loop. iPhone 6s, SE, and older models: Press and hold the power button and the Home button at the same time until the screen turns black and the Apple logo appears. Release both buttons once the Apple logo appears on the display. iPhone 7 & iPhone 7 Plus: Simultaneously press and hold down the volume down button and power button. Let go of both buttons when the Apple logo appears on the screen. iPhone 8, X, XS and newer models: First, press and release the volume up button. Second, press and release the volume down button. Finally, press and hold the side button until the screen turns black and the Apple logo appears. Does The Battery Need To Be Recalibrated? Does your iPhone keep shutting off even when it says it has battery life remaining? It’s possible that your iPhone’s battery percentage indicator has become inaccurate and unreliable! A lot of the time, this is the result of a software problem, not a faulty battery! You can read our other article with more specific details about why your iPhone turns off even when it still has battery life, or you can keep following the steps below. Both articles will help you address the deeper software issue that could be causing this problem! Apple frequently releases new versions of iOS, the iPhone operating system, to fix troublesome software issues and introduce new features. A new software update could solve a potential software problem that’s making your iPhone shut down unexpectedly. 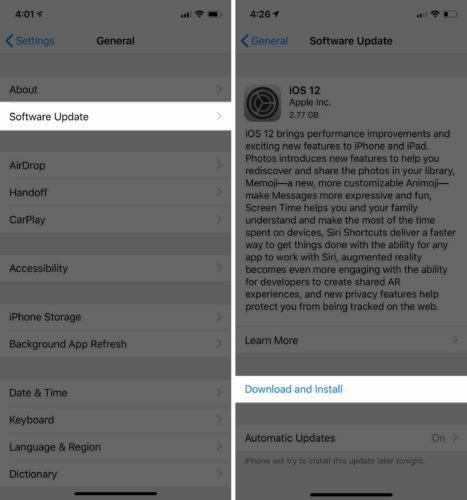 Check for a iOS update by opening Settings and tapping General -> Software Update. Tap Download and Install if a new software update is available! Take a look at our other article if you run into any problems when updating your iPhone. A DFU (device firmware update) restore is the deepest type of iPhone restore. If a software problem is causing your iPhone to keep shutting off, a DFU restore will fix the problem. Check out our DFU restore article to learn how to put your iPhone into DFU mode! If your iPhone is still shutting down randomly after you’ve completed a DFU restore, it’s time to explore your repair options. My first recommendation is to head to your local Apple Store, especially if your iPhone is covered by an AppleCare+ protection plan. Make sure to set up an appointment before you go into your local Apple Store! Without an appointment, you may have to spend a lot of time standing around and waiting for an Apple tech to become available. I also recommend the services of Puls, an on-demand phone repair company. Puls can send a technician to you in as little as sixty minutes. Puls repairs are sometimes cheaper than the Apple Store and come with a lifetime warranty! You’ve fixed your iPhone and it’s no longer shutting down on it’s own. 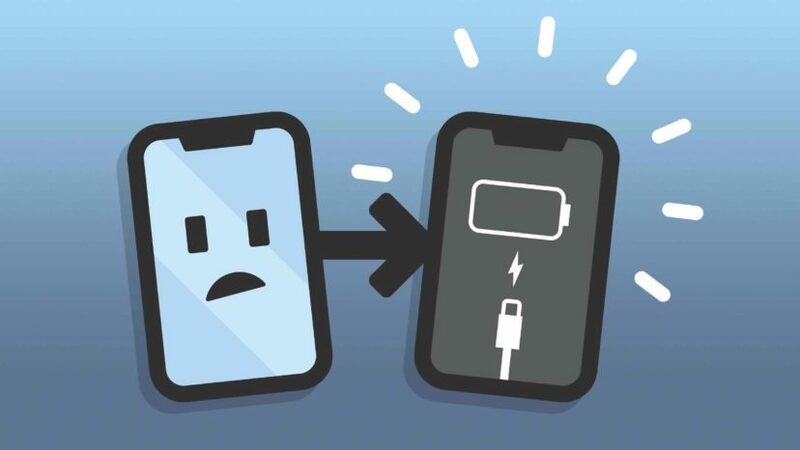 I hope you’ll share this article on social media to teach your friends and family what to do if their iPhone keeps shutting off! Feel free to leave any other comments or questions you have down below — I’ll answer them as quickly as I can! Previous ArticleWhy Does My iPhone Keep Dimming? Here’s The Truth! Next Article My iPad Screen Is Blurry! Here’s The Real Fix.